Check out the Handmade with Love SUPER Bundle! The weather is getting colder here in the Northern hemisphere. Pretty soon we’ll be buried in snow, and what will you be doing when it does? Sounds like you’re ready for colder weather :). If you’ve been on the run all summer and fall, it’s about time for your schedule to slow down just a bit… which means you’ll be reaching for your next handmade project. I can’t think of a better way to welcome winter than to tell you about a collection of digital resources you’re going to be starry-eyed over. It’s called the Handmade with Love Super Bundle. Everything you make, every stitch you count, knit, sew, crochet, quilt… you do them all with love, don’t you? That’s why I’m so excited to tell you all this bundle, so you can soak up more of the joy and relaxation that comes with handcrafting. Okay, let’s talk about what’s inside :-). With over 200 patterns, projects, and step-by-step tutorials, you’ll find dreamy projects to create, new ways to sharpen your skills, or even a whole new technique to play with (quilting! fabric dyeing! rug making! weaving!). This bundle covers: quilting, sewing, crochet, knitting, applique, embroidery, cross-stitch, dyeing, fiber arts, and crafting in general. It’s basically a crafter’s dream collection. Swoon. Curious how it’s possible to get all of this so inexpensively? The creators of these patterns, tutorials, courses and more joined forces to offer this incredibly special bundle, but just for a super short period of time. Once the sale’s over, they’ll go back to selling their products and patterns at full price. If this is a collection that interests you, make the move now! The offer is only available until December 4th and then it’s gone forever! I heard about this giveaway and I couldn’t wait to share the information with you because it’s every crafter’s dream to win some of these items. How would you like to win a Cricut Maker Machine ($400), a Brother Embroidery and Sewing Machine ($390) or any of 18 other prizes? I would love that deluxe crochet hook set! And the yarn and yarn winder would come in super handy too! See anything you’d like to add to your craft room? The good folks at Ultimate Bundles are running a giveaway…and not just any giveaway! Including the prizes I already mentioned, there are 20 prizes (worth almost $4,000 altogether! ), so you’ll definitely find something crafty that you’ve had your eye on. I mean, with categories like Knitting & Crochet; Embroidery & Cross-Stitch; Sewing, Quilting, & Applique, and Mixed Media Fiber Arts (like Weaving), there’s something for every maker. You’ll pick your category, and enter your name and email address. That’s it! Then you sit back and wait to see if you win.Just don’t wait, because you must enter by November 26, 2017! I’m off to enter my name! Fingers crossed…. Is there anything cuter than baby bunnies? I accidentally scared this little guy out of my Lillies last spring when I went out to clean up the deadfall. He and his brothers and sisters went running in every direction while I stood there hollering for my husband. As hubby came out of his workshop, one of the babies ran past his feet and right into his garage. 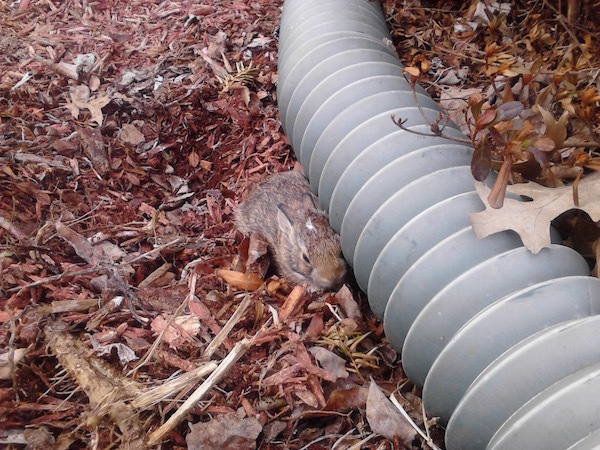 There is no food or water or mommy bunnies in the garage, so obviously, we couldn’t let him stay in there. The next half hour was spent trying to coax him out from behind a few sheets of plywood leaning against the wall and into a cardboard box. Did you know that baby bunnies are not all that cooperative? LOL. Thirty minutes and two exhausted adults later, we put the box near his nest and left him to find his way back into his hole. So while live baby bunnies are cute as can be, I decided I prefer a less mobile version of this adorable animal. 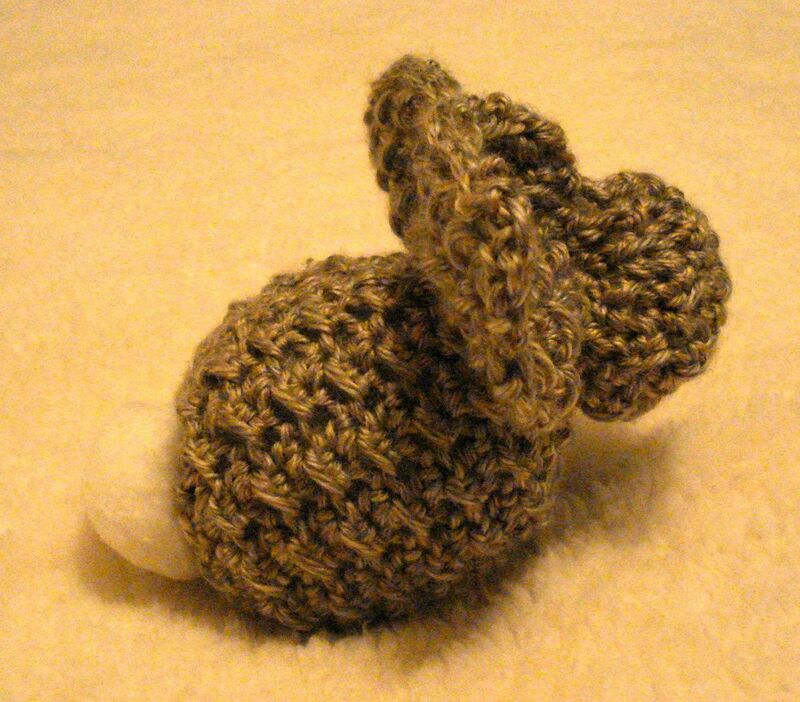 I saw some instructions for how to make a stuffed bunny from a knitted square and wondered if I could make a crocheted version. Here is the results of my experiment. It was really easy to make. Here’s some quick instructions if you’d like to give it a try. because the mix of grays and tans seemed kinda bunny colored and because I had a skein in my stash. While the wrapper on the skein recommended a J hook, I opted to go a little smaller and use an I hook (5.5 mm) because I wanted the stitches to be tight. This pattern uses the moss stitch, a nice, tight stitch that is textured and reversible. I started by chaining 31. Row 1: Sl st in the third ch from the hook (The first two ch count as a starting hdc). [hdc in the next ch, sl st in the next ch]. Repeat between [ ] across. Row 2: Ch 2 (counts as first hdc), skip the first sl st, sl in the top of the next hdc. [Hdc in the next sl st. Sl st in the next hdc.] Repeat between [ ] across ending with a sl st in the top of the starting ch 2. 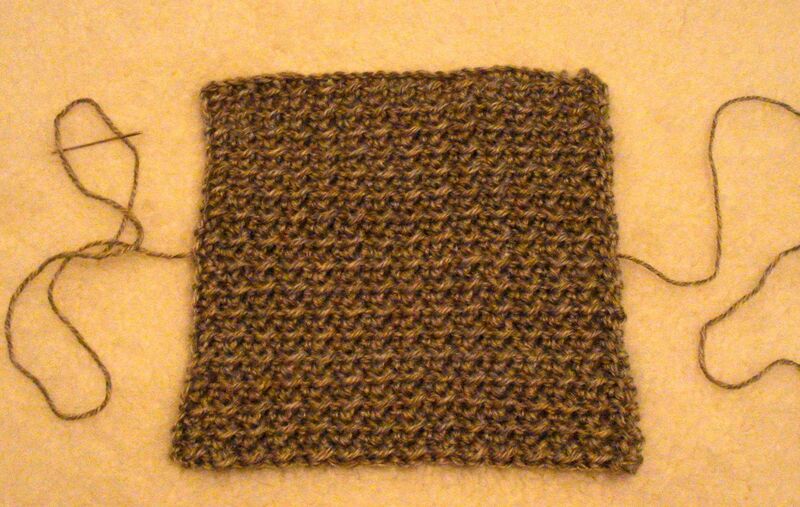 Repeat Row 2 until the height of the square matches the width. The easiest way to determine whether the dimensions match is to fold your square on the diagonal. 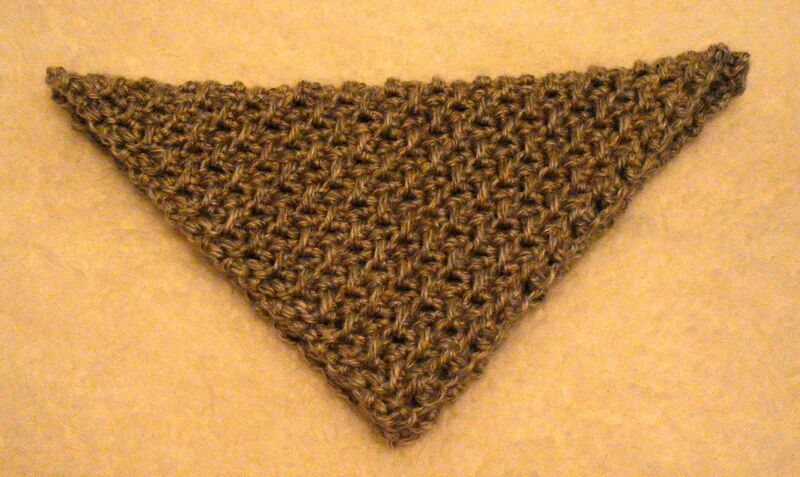 If it is square, it will fold into a perfect triangle with the sides lining up evenly. If you have an overhang on one side, you need a few more rows (or a few less if you went too far). 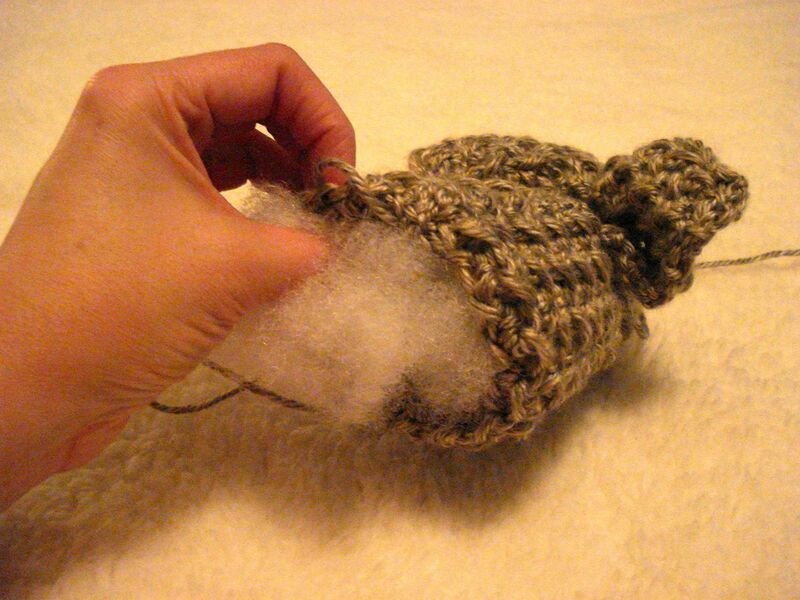 Then I followed the instructions that were given for the knitted bunny I saw on Pinterest. Cut a piece of yarn about 36″ long and thread a yarn needle. Hand stitch a loose basting stitch straight across the middle of the square. Then turn 45 degrees and baste up to the middle of the top edge, then back down to where you started. This forms a triangle. I hope the picture below will help demonstrate the concept. 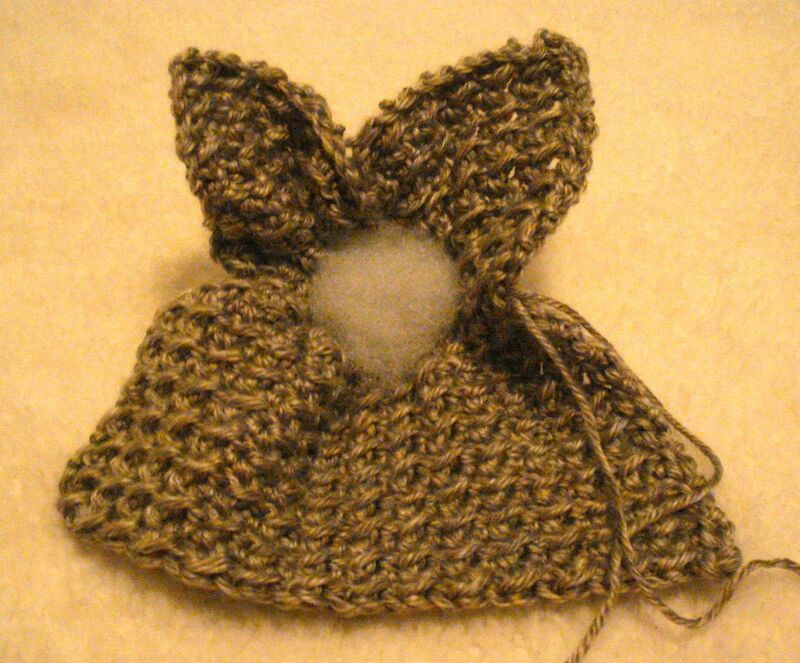 Begin pulling the ends of the basting strings to form a “pocket” from the triangle you just created with your basting stitches. 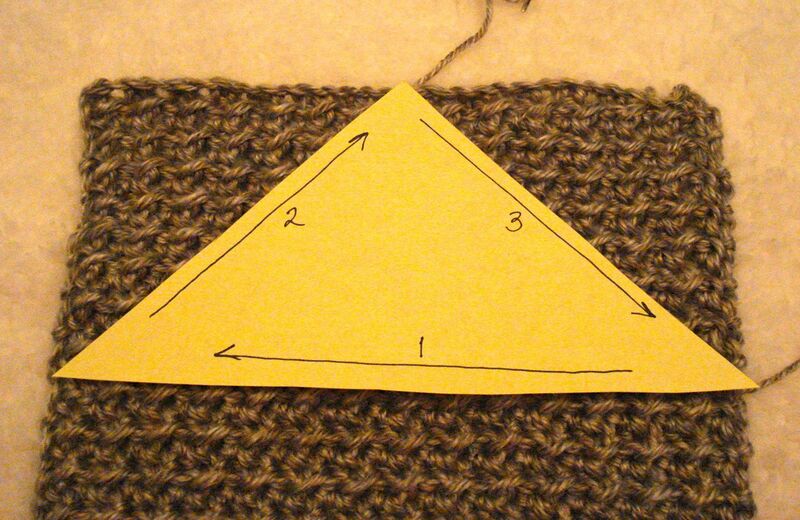 Take a little piece of stuffing and tuck it inside the triangle section. Pull your strings tight, enclosing this section. Doing this creates the head and ears of your bunny. 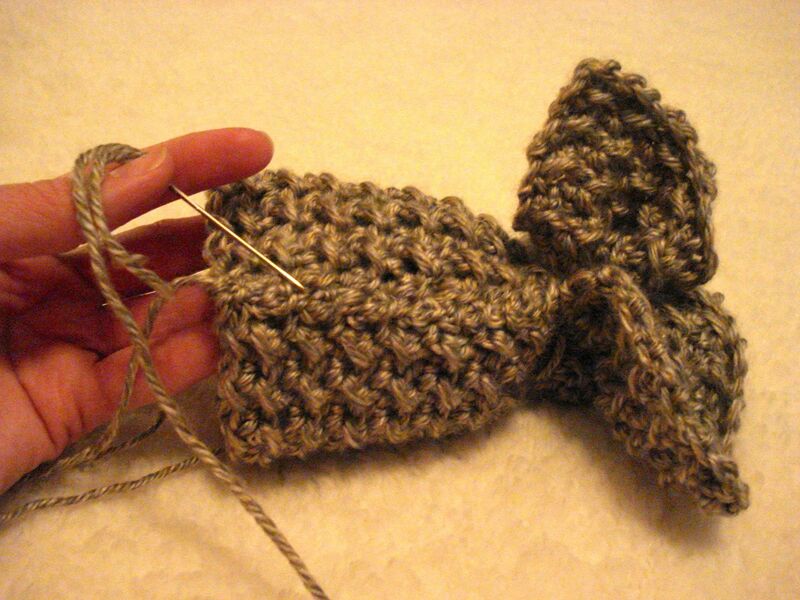 Tie your yarn ends into a tight double knot to secure the stitches. Thread your needle onto the longer end of the string. 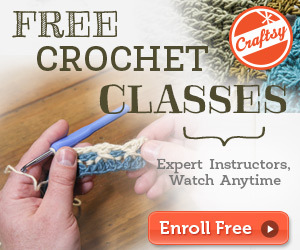 You will need at least 18 inches of yarn to stitch with comfortably. Now to give your baby bunny a body. 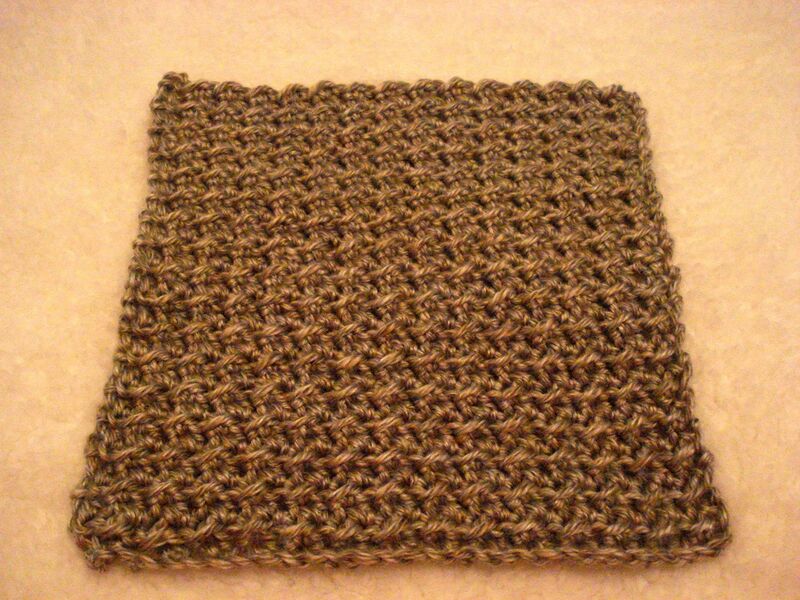 Focusing on the unworked portion of the square, align the two loose edges of the square and whip stitch them together to form a tube. Then baste around the edge of the tube so you can draw it up like a drawstring. Grab more stuffing and tuck it inside, then pull the tube end tight and secure it. Weave in your ends. 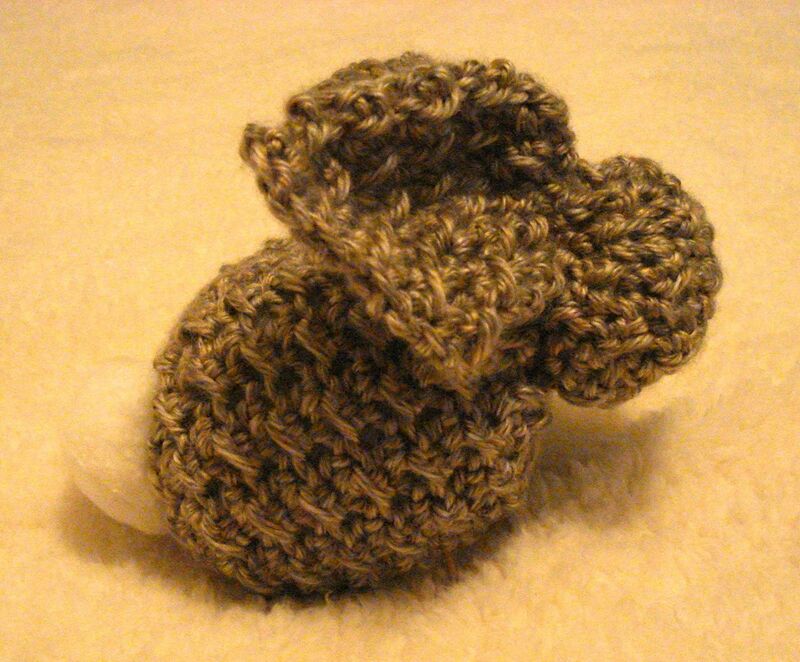 Add a pom pom for a tail and you have a darling bunny baby! These would make great stocking stuffers or a cute addition to an Easter basket. Somehow I was blessed to find a good friend who loved to crochet as much as I did. 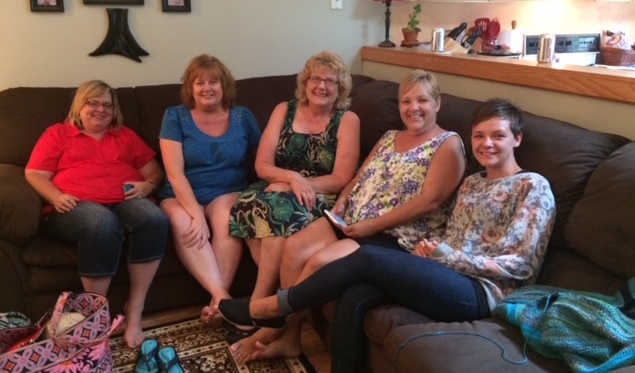 We got together at one of our houses one weekend to sit and visit and crochet together (with snacks of course!) Another mutual friend wanted to learn to crochet so we invited her to come over too. Our friend (a leftie) picked up on the art quickly and our “Crochet Party” tradition was born. Over the years, we have added other crochet addicts to the group. (To join us, you have to be able to cook too because tasty snacks and desserts at crochet night are very important fuel for our work.) 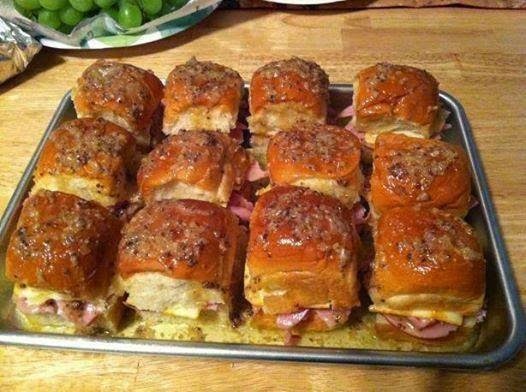 This picture of ham and cheese sandwiches is just one of the many delicious dishes we ate that night. We bring our yarn and usually get a little work done on our latest project, but mostly we talk, share about life, offer support and sometimes advice, and just relax and be real. Every woman needs a sisterhood, and we found ours through crocheting. Just one of the reasons I love this artform! I love flowers, so I'm giving away my Tulips Doily Pattern for free. Easy to make! Fun to use! Perfect to give away as gifts! Those are my criteria for a good crochet project. I crochet for myself, the things I want to wear and use and enjoy in my life. And I have crocheted a LOT of stuff in my lifetime. Before you leave, did you get your free patterns? I would love to give you three no FOUR free crochet patterns, including a pattern from my new Tulips Collection. Just enter your email and I'll make sure you get them. You'll also get exclusive offers, sales info and coupons, and VIP perks reserved just for my friends on my email list. Your information will *never* be shared or sold to a 3rd party and I don't have time to spam you. You may unsubscribe from the emails at any time.